Up or down, side to side. 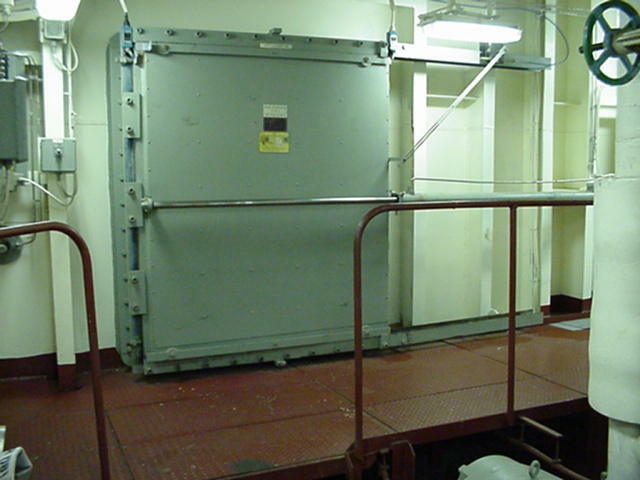 When space constraints rule out hinged watertight doors, WK sliding doors can offer the protection you need. Available in both horizontal & vertically sliding designs, they can be manually operated, or provided with power assist or full power operation. 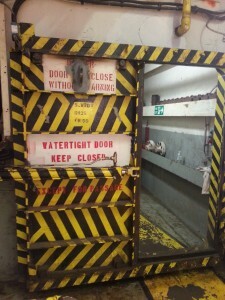 Due to the ease in closing the doors, operation by one person is simple and extremely quick. 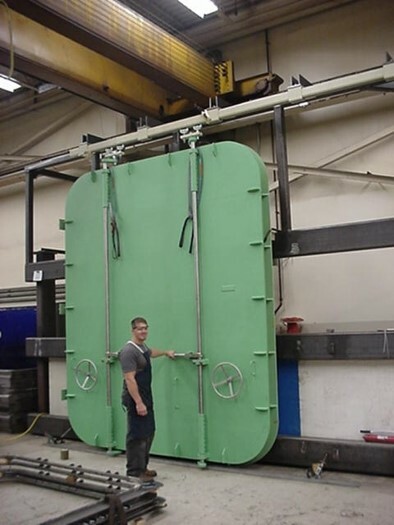 Similar to our hinged doors, our engineers can design your sliding door for just about any size or design pressure. Both compression and inflatable gasket designs are available for both types of doors. The bottom sills can be either flush or recessed depending on the application. 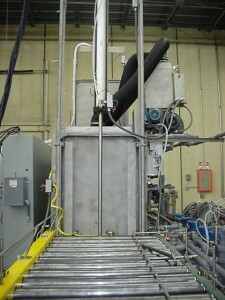 Operation options include hydraulic or pneumatic power operation as well as manual or electric winch assist. Horizontally Sliding Doors are mounted on overhead tracks, and can be easily operated by one person. Removable or “flip-up” sill cover plates can be provided to cover the bottom track. Vertically Sliding Doors slide up and down tracks mounted on the side frames. They most often require a mechanical assist for the raising & lowering of the panel due to the panel weight, as well as for safety concerns.